Badge; Towel; Uniform; And Accessories which we sell to UK, USA, Europe & Asia countries, In order to provide comprehensively service to our clients, we set up our workshop for garment samples and products also. We have formed good business relationships with customers both at home and abroad. With rich export experience, high quality products, competitive prices, superior service and on-time delivery, it is positive that we are able to meet your requirements and exceed your expectation. We are sure that our high quality and excellent service will attract more and more customers' appreciation. Contacting us is the first step to build up a successful business relationship. Our company have diversified products, profession technologist and conscientious stuff. We believe that “The Customer Is Always Right”, with the bear hardships and hard work, we will offer high quality and faster service to our customers. Our company are willing to cooperate with local and oversea client, we believe that with your participation, we can create a brilliant future together. Our company focus on accessories production and processing textile, we set up different department to produce different kind of embroidery, include flat, 3d, towel, toothbrush, sequin, water soluble embroideries, also we have handmade items, hot fix, laser cutting or accessories. 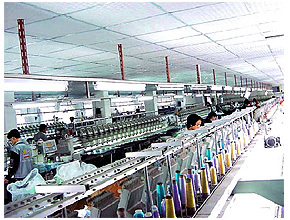 With our company garment workshop and different type of embroidery mechanics, we can combine different Process together to offer complex goods and create new element in our products to meet the requirements with different clients. We have perfect team work with different department in our company, profession technologist back up and conscientious merchandiser to satisfy different Claim from the customers, to achieve win-win situation with clients. Please feel free to contact with us.